Here is an "interesting" rash. Notice how it stops sharply right at the wrist. The victim says she wore a long sleeve shirt and showered right after. 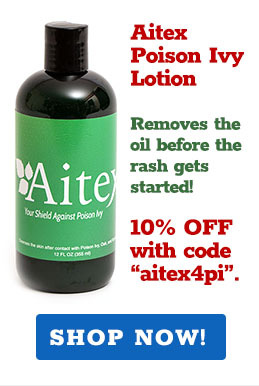 So how come the rash stops short before the wrist? I bet she was wearing gloves, but that doesn't explain how the plant oil got through that shirt. Maybe in the shower, she rubbed the plant oil from her hands into her arm? But how come the rash stops short at the wrist. We need to hear from the poison ivy CSI!